The day finally arrived. We had to put Abby onto the school bus for the first time ever. They took her away from us at 7:10 this morning and we had no idea if she ever made it to school until 2:40 this afternoon when she hopped off. 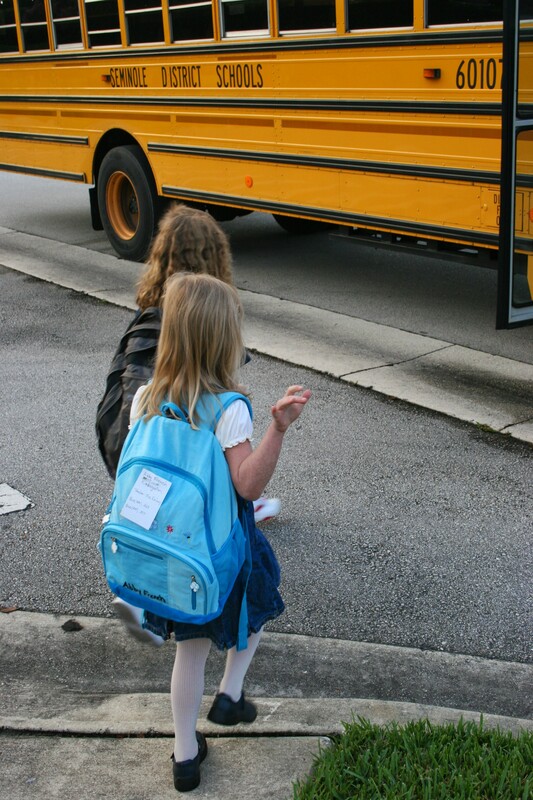 It was tough to see her go and I could tell she was starting to well up with tears as the bus doors closed, but when she got off the bus in the afternoon, we knew everything had gone okay. She said she had no trouble getting off the bus and walking to her new class. She also told us she sang songs and ate in a cafeteria, a new experience for her. She’s looking forward to tomorrow and I know Jennifer and I will feel better since she’s already gone through it once. This entry was posted in Abby, Family by Jason. Bookmark the permalink.